Mate 10 Pro from Huawei and View 10 from Huawei's own sub-brand Honor are both powerful flagships of their respective brands. These two smartphones are quite a bit different although they look very similar on paper. The Mate 10 Pro comes packed with every high-end specification and feature on a smartphone currently available, while the View 10 provides almost the entire experience with a few exceptions at roughly half the cost. But Mate 10 Pro being the Huawei's most powerful phone till date, will Honor View 10 have enough specs and performance to compete with? Today let us take a journey to compare these two flagship phones and see whether there's enough juice in the Mate 10 Pro to justify the premium or whether it makes more sense to get the View 10. As far as the latest design trends are being considered, both the Mate 10 Pro and View 10 are up to date with near bezel-less devices that feature massive edge-to-edge displays. 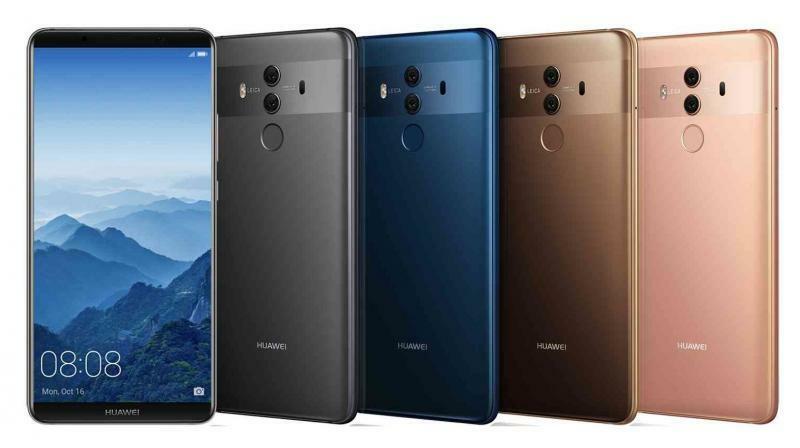 But with a glass back, Huawei Mate 10 Pro has the added advantage in tallying with the current design trend compared to the metal unibody design of Honor View 10. Although the glass used on the Mate 10 Pro does make it more prone to fingerprints, scratches, and breakage it also looks more elegant and premium. The curved back of Mate 10 Pro provides better handling than the flat View 10. On the other hand, View 10 does rock in the field of slimness with just 7 mm frame compared to the Mate 10 pro which is a bit thicker at 7.9 mm. One among the reasons for the thicker body in Mate 10 Pro is the slightly higher battery of 4000 mAh underneath it compared to the one which is 3750 mAh on the View 10. 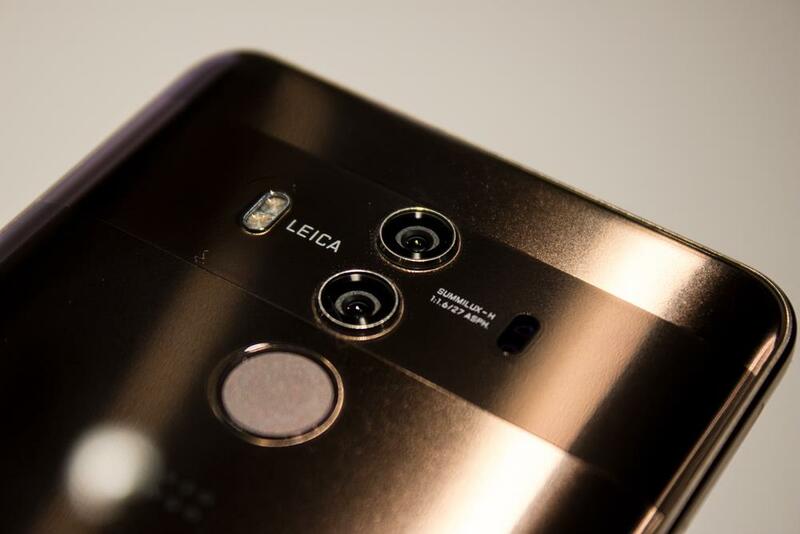 In terms of resolution, both the Huawei Mate 10, Pro and Honor View 10 have 18:9 aspect ratio with full HD Plus 2160 x 1080 pixels. However, when the Mate 10 Pro gets a 6-inch AMOLED screen the View 10 has a slightly smaller 5.99-inch IPS display at the front. When comparing the IPS LCD panel of View 10 with AMOLED screen of Mate 10 Pro, we can clearly tell which one is premium and why. Another major feature that keeps the price difference worthy for the Mate 10 Pro is that it is IP67 dust/water resistant. 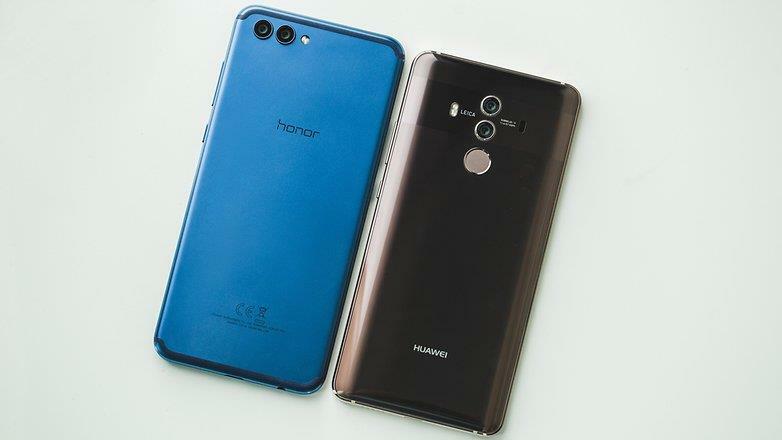 However, its mid-range competitor Honor View 10 doesn't give its users ability to go near water with the smartphone in their hands. Performance wise both the devices are nearly identical. However, the Mate 10 Pro is a bit more optimized overall. Both have the Kirin 970, an Octa-core chipset from Huawei's own Hisilicon, along with 6 GB of RAM and 128 gigs of built-in storage. They also support dual sims, but with a dedicated microSD slot, only the View 10 supports the memory expansion which is an extra advantage if the internal 64/128 GB isn't really enough to hold all those media files of yours. However, this addition of microSD expansion in View 10 affects Mate 10 Pro users during comparison only if the variant you're choosing is 64 gigs. In the field of graphics, both have similar Mali-G72 MP12 running beneath them. Apart from that, both these Huawei's devices come with android oreo 8.0 out of the box with EMUI 8.0 on top of it as well. The Mate 10 Pro delivers a rear-mounted fingerprint scanner while the View 10 offers the fingerprint scanner at the front below the display. Both the device also have IR blasters at the top, which is something that we don't see on smartphones these days. In the field of loudspeakers and sound quality provided by them, both these devices feature a bottom firing loudspeaker. However, Mate 10 Pro has an added advantage here too with the earpiece which doubles up as a speaker and adds extra output thus results in a stereo experience just like we see on iPhone devices. When talking about headphone jack, when smartphone manufacturers these days are eliminating them even from their flagships, only the View 10 from Honor is blessed with one, while you need to use the type-c to 3.5 mm converter on the Mate 10 Pro. Anyone who is looking to buy a smartphone always gives the camera a higher priority after hardware and performance. And these days the dual camera is a trend, both these 10's from Huawei are blessed with a pair of dual cams. When Honor View 10 has a 16+20 MP RGB/monochrome combination with f 1.8 aperture each, the Mate 10 pro features a 12+20 MP RGB/monochrome with f 1.6 aperture each. 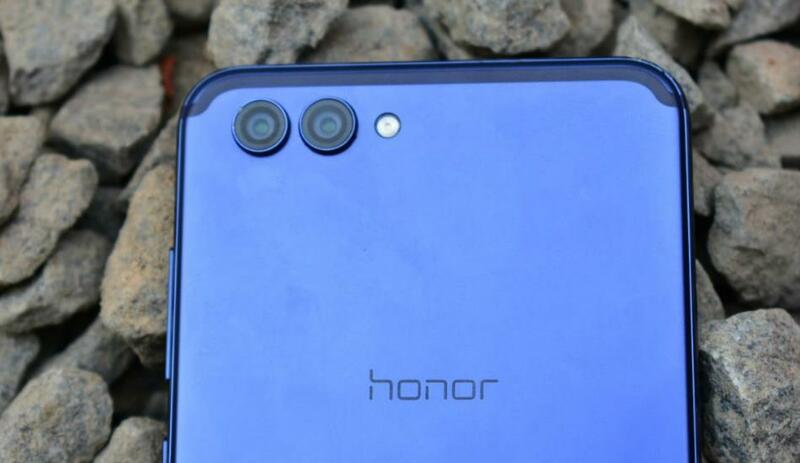 Here Honor View 10 has an added advantage with 3 more megapixels. However, if megapixels doesn't count as a grade for you, then you can rely on Mate 10 Pro that features a much more lesser aperture of f 1.6 which is the highest low light capacity in a smartphone. Both the Mate 10 Pro and View 10 deliver a spectacular video recording capacity on their primary camera at 2160p. But only the Mate device features a laser autofocus and 4k video recording at 30 frames per second. When comparing the front facing selfie cameras, the clear winner here is the View 10 with an amazing 16 MP bundled with f 2.0 aperture and 1080p video recording capability. On the other hand, Mate 10 Pro does deliver only an 8 MP selfie cam. As we've already mentioned the capacities of the two devices at 3750 mAh and 4000 mAh for the Mate 10 Pro and View 10, in terms of battery, both the brothers provide around the same six to six and a half hours of screen on time. Although both of them support fast charging over their type c ports, the Mate 10 Pro has an added advantage of USB 3.0 when the View 10 delivers USB 2.0. Mate 10 Pro has been released back in November 2017 and it is available in Indian markets for a price around Rs 60,000. On the other hand, as mentioned earlier Honor View 10 is also available but with nearly half the price as that of the Mate. It is readily available on Amazon and is priced at Rs 29,999 for the 128 GB/ 6 GB variant. If your decision can be U-turned with the availabilities of colors that the devices come in, then the Mate 10 Pro delivers a total of four colors; Pink Gold, Titanium Gray, Midnight Blue, and Mocha Brown. Among these, I feel the last one to be more premium and elegant. On the other hand, Honor's View 10 splashes out 5 colors and they are; Charm Red, Navy Blue, Aurora Blue, Beach Gold, and Midnight Black. Does Mate 10 Pro Worth that extra pay? Well, with a superior as well as a premium screen, added protection; IP 67 and Gorilla Glass, better camera and a better design, it does everything that the View 10 does but in a better manner with a touch of real perfection. However, it also has its drawbacks when compared with its budget-edition, Honor View 10. First of all the View 10 delivers many of the same features including the powerful Kirin 970 chipset from Hisilicon, camera, nearly equal performance, a variety of colors to choose from etc. Secondly, the lack of an audio jack and the absence of microSD slot in the Mate device are two of the major fields that may make you decide to go with View 10. But the question you need to ask yourself is, aren't those benefits that the Mate 10 Pro delivers worth overcoming its drawbacks? If the answer is yes then you know which one to go for and if it's a no then you also have made your choice. If you are seriously looking to buy one of these two flagships, then there it is! You have now got everything you were looking for. If you are still confused, I recommend going through this complete comparison once again and I'm sure you will be able to pick up the right one.